With 20 parties and coalitions competing in the early general election on March 26, many are betting on nationalistic rhetoric to appeal to discouraged voters. Read more. After years of struggle with obstructive bureaucracy, Andrei Ursu will see four former communist police officers and officials go on trial next week for the murder of his dissident father. Read more. As the hundredth anniversary of the sudden abolition of the Montenegrin state looms next year, it is time to take another look at one of the strangest disappearing acts in history. Read the comment piece. 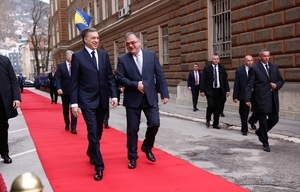 President of Montenegro, Filip Vujanovic, is visiting Bosnia and Herzegovina today. Over 1,500 troops and 17 naval ships from seven NATO countries gathered on the western shore of the Black Sea for a second multinational exercise called Poseidon 2017, taking place from March 5-13 in Romanian and international waters. ORP Kontradmiral Xawery Czernicki, Photo: Wikimedia Commons. The exercise is focused on detecting underwater mines and involves over a dozen NATO ships, two Romanian and Turkish diving teams specialised in detecting and countering underwater dangers, and two high ranking officers from Bulgaria and Turkey. The Standing NATO Mine Countermeasures Group in the Mediterranean, SNMCMG-2, also sent four ships to the exercise, including its Polish logistical support ship, the ORP Kontradmiral Xawery Czernicki. 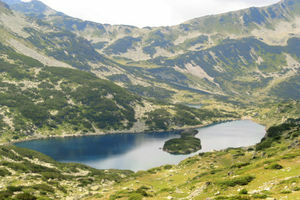 Аhead of massive civil protests scheduled for Monday evening, Bulgaria’s environment minister Irina Kostova cancelled her earlier decision to allow changes to the management plan of the UNESCO-protected Pirin National Park without carrying out an environmental impact assessment. Activists, who feared that the decision, taken without any public debate on March 2 – ahead of national holidays – would allow uncontrolled construction in the protected area, have organised rallies to take place in Sofia, Plovdiv and London. In a Facebook post earlier on Monday, Bulgarian President Rumen Radev called the ministry’s decision “inconsiderate” and said he had spoken to Prime Minister Ognyan Gerdjikov and Kostova to urge them to find a “transparent and responsible” solution. Earlier in January, Radev backed the demands of green protesters and vetoed a new concessions bill - adopted in the last days of the ex-parliament - which they said also posed risked for the habitat. Head of Croatia’s opposition anti-establishment Living Wall party, Ivan Sincic, announced that his party will push to give parents the choice to vaccinate their children or not, Croatian news site Index reported on Monday. Sincic said that the party had sent a proposal to amend the law so that vaccinating children is no longer mandatory, thus also removing fines for parents who avoid it. Serbia’s former Ombudsman and presidential candidate in the upcoming election, Sasa Jankovic, said on Sunday that if the EU continues to give legitimacy to "[the] things most opposing European values" in Serbia, he'll give back the three "European of the Year" award she has received. Speaking to media at an election meeting in the Serbian town of Kraljevo, Jankovic said that he "...told the EU foreign policy chief Federica Mogherini that it this continues to happen I'll give back the awards ... not because I don't believe in the EU and it's values, on the contrary." 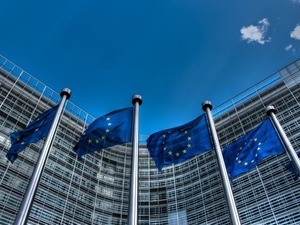 The EU’s foreign policy chief Federica Mogherini told media on Monday that the Western Balkans can overcome the crisis and current obstacles it is facing if its countries get credible support in their EU-integration paths. After her four-day visit to the Western Balkans, which ended on Friday, Mogherini on Monday briefed EU foreign ministers on the current situation in each of the countries she visited: Serbia, Montenegro, BiH, Macedonia, Kosovo, and Albania. 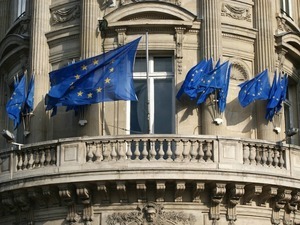 She will also deliver this briefing to the meeting of the European Council taking placing from March 9-10. 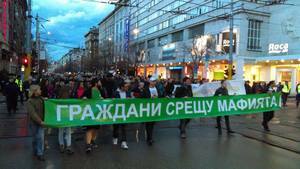 At least 500 Bulgarian citizens were protesting on the streets of Sofia on Monday evening against a controversial decision of the environmental ministry on March 2 to allow changes to the management plan of the UNESCO-protected Pirin National Park without an assessment of its environmental impact. The protesters, who shouted “Mafia out!” in front of the ministry before heading towards the Council of the Ministers building in central Sofia, did not quit the rally even after minister Irina Kostova cancelled her decision on Monday afternoon, due to civil pressure and following talks with President Rumen Radev. Macedonia's politicians must not to turn the political and institutional crisis into an inter-ethnic one, remarked EU's foreign policy chief Federica Mogherini following the Foreign Affairs Council in Brussels in March 6. "My main worry is that this turns into an inter-ethnic crisis and this has been the main message I have passed to those who have political responsibility in the country: Do not play with fire, do not turn this into an inter-ethnic confrontation that would ruin the country and probably spread further beyond", Mogherini said regarding Macedonia. Tensions – high since the election in December – soared further last Monday after Macedonian opposition leader Zoran Zaev called on President Gjorge Ivanov to offer him a mandate to form new government, which he refused to do. A Serbian court has rejected a second extradition request by Montenegro for suspects in an alleged pro-Russia plot to overthrow the Balkan country's government, AP reported. The Special Court said Monday that Predrag Bogicevic cannot be handed over because Montenegro suspects him of committing a crime by acting from the territory of Serbia and not inside Montenegro. The same court already has rejected Montenegro's request for the extradition of Nemanja Ristic, also wanted in the alleged foiled coup in October. The main opposition Social Democrats and Macedonia's ethnic Albanian parties have dismissed VMRO DPMNE leader and former Prime Minister Nikola Gruevski's call for another general election. Read more. Kosovo's president is mulling ways to bypass a Serb veto on the formation of an army by proposing changes that would broaden the responsibilities of the existing Kosovo Security Force. Read more. Bosnians on the margins of society are getting a new start in life, thanks to a programme that give them a chance to play in international football tournaments. Read more. Tomislav Saucha, the former head of the cabinet of Croatia’s ex-Prime Minister Zoran Milanovic, allegedly conducted a private investigation into per diems for government advisors which were allegedly illegally paid out, Croatian weekly Nacional has reported on Tuesday. After Saucha was arrested and interrogated in February on suspicion of paying out fake per diems to three of Milanovic's advisors, he found out that per diems for two other advisors to the centre-right government led by Prime Minister Tihomir Oreskovic were paid out as well. Saucha reported the case to the Office for Suppressing Corruption and Organised Crime, USKOK, on Monday, after which, current Prime Minister Andrej Plenkovic made an urgent press conference with USKOK’s head, Dinko Cvitan, stating that per diems were illegally paid out even in the administration after Milanovic. Unofficially, regional N1 claimed that USKOK is now investigating certain per diems that were paid out even during Plenkovic's government. The 24th Kopaonik Business Forum started on Tuesday at Serbia’s biggest ski resort with over 600 participants, including scholars, diplomatic officials, business practitioners and media. Serbian finance minister Dusan Vujovic, state administration minister, Ana Brnabic, the governor of the National Bank of Serbia, Jorgovanka Tabakovic, the president of Fiscal Council, Pavle Petrovic, and the head of the International Monetary Fund’s mission to Serbia, James Roaf, are among those attending the three-day event. The Bulgarian economy has grown by 3.4 per cent in 2016 compared to the previous year, according to the latest data from the National Statistics Institute of Bulgaria, NSI, released on Tuesday. The registered gross domestic product, or GDP growth, exceeds the economic forecasts for Bulgaria, which ranged around 3 per cent for 2016. Macedonian president Gjorge Ivanov sent a letter to the EU, NATO, the United States and Turkey urging them to condemn the platform of the Albanian parties in Macedonia, which he says is "the only way out of the impasse" in which Macedonia currently is, the president’s press office said in a statement on Tuesday. In the letter, Ivanov reiterated his belief that the platform, which he insists was a "post-election document adopted in a foreign country [Albania], in an office of a foreign statesman and with mediation by a prime minister of a foreign state," endangers Macedonia's sovereignty and independence. 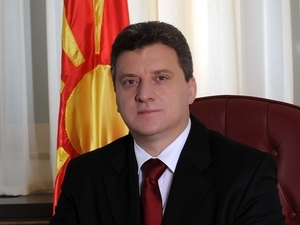 Ivanov is currently facing criticism from the West over his refusal last week to give the mandate for the formation of a new government to the opposition SDSM leader, Zoran Zaev, despite his majority in parliament, because of his alliance with Macedonia's ethnic Albanian parties. Ivanov has claimed that the SDSM leader could "destroy the country" by accepting the demands of the country's ethnic Albanian parties. As well as a non-functioning parliament and a presidential veto on the formation of a new government, Macedonia may also soon be left without mayors and municipal councils. Read more. Serb war veterans condemned the Bosnian Army’s decision to allow a production company to use its tanks and military equipment to shoot a film about the life of controversial Croatian general Ante Gotovina. Read more. If you know where to look, testaments to remarkable female pioneers are etched on several locations in urban Serbia. Read more. The new barbed-wire barrier that Hungary is raising on its border with Serbia will be electrically charged, Hungarian Government spokesman Zoltan Kovacs said, Anadolu agency reported last night. Kovacs stated that the barbed wire at the border will stop the wave of migrants and protect not only Hungary but also the European Union. He added that the barbed wire in an area of 150 kilometers should be completed by May 1, and that thermal imaging cameras and other technological equipment will also be in place then. "Technical capacity of the new 'smart barbed wire' is larger than the previous. The electric voltage on the wire will be added, and thanks to advanced technology it will not endanger the life of people," Kovacs said. Croatian police reported on Wednesday that three former and current members of the executive board of the local Jadran Bank were arrested on Tuesday on suspicion of misuse of trust in economic activities. A private businessman was also arrested for allegedly encouraging the board members in their actions. The bank officials are suspected of illegally giving loans and factoring worth 5.7 million euros to the businessman. Bulgaria will officially oppose the plan for setting up a multi-speed Europe, embraced today by the leaders of the EU’s ‘big four’ economies – Germany, France, Italy and Spain - ahead of the upcoming meeting of the European Council on Thursday and Friday, the Bulgarian government decided on Wednesday. At the meeting of EU leaders in Brussels, Bulgaria will be represented by President Rumen Radev, who will defend the position that “the trends for fragmentation of the Union have to be countered by overcoming the differences and reaching agreement on the common aims”. Radev will also back Poland’s Donald Tusk for a second mandate as President of the European Council, the government agreed. Tomislav Saucha, MP in the Croatian opposition centre-left Social Democratic Party, SDP, told Croatian state News agency, HINA, on Wednesday how accusations that he signed fictional per diems for government advisors while he was head of the Prime Minister Zoran Milanovic's Office has had a detrimental effect on his life. Saucha explained to HINA that he wants to be able to walk down the street without being called "a thief", and while he said he will not sue the state or Office for Suppressing Corruption and Organised Crime, USKOK, for not conducting their investigation into the claims against him properly and harming his image, he concluded that USKOK could have been more thorough. After Saucha conducted a private investigation into the allegations, he provided USKOK with proof that the same illegal activity involving fictional per diems was conducted during the former government of Tihomir Oreskovic and the current one led by Andrej Plenkovic. USKOK has now opened an investigation into the perpetrators, who are still unknown, who forged the signatures of Saucha and two other heads of prime minister's office on the per diems. Croatian veteran human rights' activist Sanja Sarnavka said on regional N1 TV on Wednesday that she believes there are some inappropriate persons in Croatia's new working group for the ratification the Council of Europe’s Istanbul Convention on preventing and combating violence against women and domestic violence. Sarnavka explained that the working group for Demography, Family, Youth and Social Policy has a member of the highly conservative Christian values NGO 'In the Name of the Family' and a representative of civic initiative Ordo Iuris. Ordo Iuris operates as a conservative lawyer organisation which has worked on the highly criticised proposal for the country’s new law on abortion, helps conservative NGOs in attempts to ban abortions and has advocated for investigating a theatre play directed by Croatian director Oliver Frljic. Furthermore, the working group representative from 'In the Name of the Family', Ivan Munjin, wrote on conservative news site Narod.hr in late February that women are the victims of the Istanbul Convention as it imposes gender ideology on them. 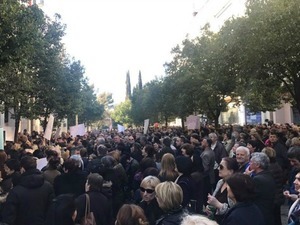 Women in Montenegro staged a rally on Wednesday demanding the government reverse its decision to reduce state aid for mothers of three and more children. The government reduced financial help allocated to more than 22,000 women by 25 percent in January amid more general plans to slash public spending. Mothers were initially given 336 euros or 192 euros pre month depending on the number of children they had, but these amounts have been reduced to 264 and 144 euros respectively. Protest organisers said that around half of the women on the list were jobless and that women will not cease their requests to abolish the law to reduce compensation. Some 2,500 women protested outside the government building in Montenegro’s capital, Podgorica, on February 16. Photo: Facebook/S.Radunovic. The Kosovo government on Wednesday urged the opposition to approve a border demarcation agreement with Montenegro, following an experts' report showing the country loses no territory, contrary to opposition claims, the Associated Press reported. A statement said the report prepared by a group of experts and also approved by the international community showed that Kosovo "doesn't lose a square meter" and urged the opposition political parties "to open the way to Kosovo citizens' free movement in European Union countries." Kosovo remains the only country in the western Balkans whose citizens need to apply for visa when traveling to EU member countries. Opposition parties have vowed to disrupt any attempt by the governing coalition to pass the deal, signed two years ago. It has caused fights inside and outside of Parliament, including tear gas use inside the chamber. A novel new shop which rents second-hand formal attire has opened in the southern Serbian city of Nis, Beta news agency reported today. The shop’s owner, Zorana Mitic, told Beta that each item can be rented for a maximum of three days and the most expensive piece, a men’s suit, costs 14.50 euros. Former Romanian Prime Minister Victor Ponta announced on Wednesday that he will hand in his resignation from the ruling Social Democrat Party, PSD, to its chief, Liviu Dragnea, but will let him decide when to enforce it. Ponta said he has decided to resign as he feels that his views bother the party’s leadership, however Dragnea said he will not accept the resignation. “If I bother anybody, and I’ve seen that I do bother people, I’ll send Mr. Dragnea – you know I don’t want to be kicked out of the party – I’ll send him my resignation without a date and when I upset him too much, he signs it and he’ll be rid of me. But I won’t shut up, I can’t shut up at my age after the things I’ve seen, the things I know and the things I believe are worrying,” he told media. Ponta also stated that he does not have a good relationship with Dragnea, who he has criticised several times in recent weeks after the government decided to pass a decree that relaxed anti-graft legislation, triggering mass protests across the country. Last week, Ponta published a long post on his Facebook page saying he doesn’t agree with the way Dragnea runs the PSD. Ponta, a prosecutor, has been a PSD member since 2002 and held several government positions as minister and prime minister. 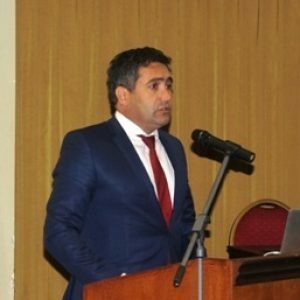 He resigned from his position as head of PSD in July 2015 after he was indicted for money laundering. Unknown perpetrators broke into the ‘Bilecki borci’ warehouse barracks in the south-eastern town of Bileca in Bosnia and Herzegovina and stole weapons and ammunition, local media reported on Wednesday. Lieutenant General Anto Jelac, Chief of Joint Staff of the Armed Forces, said that military police together with the State Investigation and Protection Agency, SIPA, are doing everything to find the stolen weapons. The Bosnian Ministry of Defense officially confirmed on Wednesday that 30 firearms and three cartridge magazines were missing. Jelac stated that anyone who has been in contact with the missing arms is currently being examined, in order to determine who is responsible for the crime and how it was able to happen. “No matter what the outcome of the investigation will be, we will prosecute and punish people [for the crime]. It was never a single person, but now it is important that we find the weapons as soon as possible and disciplinary proceedings against several people have already been launched," Jelac told Bosnian daily Dnevni Avaz. The crime was discovered when members of the Armed Forces noticed traces of unauthorised entry to the barracks during their regular duties. Political tensions in north Kosovo have helped to delay until May the reopening of the renovated bridge that links the Albanian and Serb sides of the divided town of Mitrovica. Read more. As the presidential campaign heats up in Serbia, some voters are mocking the corrupt culture of Balkan politics with tongue-in-cheek offers to sell their votes online to the highest bidder. Read more. Experts, politicians and activists are still at loggerheads over whether the EU-Canada trade agreement, CETA, will help - or harm - Croatia. Read more. European Union leaders will pledge "unequivocal support" for the Balkans on Thursday in order to counter Russian influence and reinvigorate the region's bid to join the bloc, diplomats said. The leaders will make the promise at a summit dinner in Brussels in a reflection of the alarm in European capitals that the bloc's plan to transform six Western Balkan states into thriving market democracies is at risk of collapse. In a joint statement, the leaders will reaffirm the "unequivocal support for the European perspective of the Western Balkans", according to a draft seen by Reuters. Though the statement will not mention any country by name, it amounts to a commitment to the long-term EU membership aspirations of Albania, Bosnia, Kosovo, Montenegro, Macedonia and Serbia. Macedonian police filed charges on Thursday against a person suspected of physically attacking a reporter and cameraman from A1on media outlet at a protest on February 28 against a possible new opposition-led coalition government, provisional interior minister Agim Nuhiu told media on Thursday. After meeting the head of the Journalist's Association of Macedonia, ZNM, Naser Selmani, Nuhiu added that more charges against other people suspected of being involved in the incident may follow in the near future. At a joint press conference after their meeting, Selmani stated that this is the first case in which the interior ministry has stood up to defend Macedonian journalists and in which the suspected perpetrator has been identified quickly. Two journalists from the A1on news outlet were physically attacked while reporting on the protests. During his official visit to Macedonia on Thursday, Secretary-General of the OSCE, Lamberto Zannier, repeated his call to Macedonian President Gjorge Ivanov not to stall the formation a new opposition-led coalition government. "Respect for the fundamental rules of democracy, including majority rule in accordance with the legal framework, is what people expect after they cast their vote," Zannier wrote in a column published on Macedonian media on Thursday. During his visit to Skopje, Zannier is meeting with President Ivanov, provisional Prime Minister Emil Dimitriev and the leaders of the main political parties in the country. The Croatian government removed Terezija Matic from the position the acting head of office of general services on Wednesday in relation to the ongoing scandal over per diems allegedly paid to ministers for fictional trips. During the term of the former centre-left government, when Matic was the head of the finances department in the general services office, per diems worth around 40,000 euros were paid out for fictional trips of government advisors. Earlier the same day, secretary in the Prime Minister's cabinet Sandra Zeljko was transferred to the government's office for demining. Zeljko is also currently under investigation over allegations that she forged her high school diploma. Tomislav Saucha, an MP in the Croatian opposition centre-left Social Democratic Party, SDP, was arrested in February on suspicion he signed fictional per diems for government advisors while he was head of the Prime Minister Zoran Milanovic's Office. After Saucha conducted a private investigation into the allegations, he provided the Office for Suppressing Corruption and Organised Crime, USKOK with proof that the same illegal activity involving fictional per diems was conducted during the former government of Tihomir Oreskovic and the current one led by Andrej Plenkovic. Turkey’s foreign ministry criticized Bulgaria’s decision from last May to limit the number of polling stations for Bulgarians living in Turkey to 35, which it deemed as a limitation to the rights of the Bulgarian minority. "We call on the Republic of Bulgaria to abandon practices which are intended to restrict the political rights of minorities in the country and are fundamentally contrary to the European rule-based system," foreign ministry spokesman Huseyin Muftuoglu said in a statement on Thursday, quoted by Turkey’s state-owned Anadolu news agency. Muftuoglu added that unlike Bulgaria, Turkey “will continue to provide the most ideal conditions for all Bulgarian citizens living in Turkey” to vote in the forthcoming snap elections on March 26. The spokesperson rejected accusations by Bulgaria’s foreign ministry that Turkey has interfered in the country’s internal affairs by agitating and offering financial incentive to Turkish Bulgarians to vote for the newly formed DOST party – viewed as Turkey’s ‘Trojan Horse’ in Bulgaria. Kosovo Parliament has called on France to immediately release its former prime minister, Ramush Haradinaj, who is wanted by Serbia on war crimes charges, the Associated Press reported. A resolution approved Thursday also called on the government to cancel negotiations with Serbia on normalizing ties until Haradinaj is released. In January Haradinaj was detained in France where now he is on judicial supervision waiting a court decision whether he will be extradited to Serbia. The verdict is expected on April 6. Haradinaj, a guerrilla fighter in Kosovo's 1998-1999 war for independence from Serbia, was cleared of war crimes charges by a U.N. tribunal. 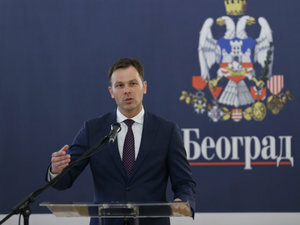 Belgrade Mayor Sinisa Mali submitted all necessary and relevant documentation to the competent authorities three weeks ago in relation to an investigation into his business dealings and assets by the Anti-Corruption Agency, the Mayor’s Office told BIRN on Thursday. “We appeal to individual portals not to make premature judgments and not to affect the independence of the institution, but to await the results of the investigation. Once the proceedings are completed, the mayor will be able to comment mentioned case, without jeopardising the process,” the mayor’s office said. On March 8, the journalists’ network for investigating crime and corruption, KRIK, published contents of the Anti-Corruption Agency’s report on their investigation into Mali, including suspicions of possible money laundering activities. “These are financial transactions that Mali conducted through offshore companies, including the purchase of real estate in Bulgaria,” KRIK reported. 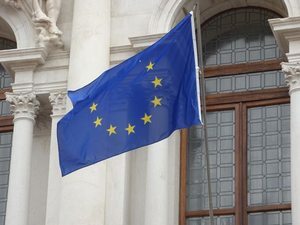 Maja Kocijancic, a spokesperson of the European Commission for neighbourhood policy and enlargement negotiations, said on Thursday that the call for a suspension of the EU-facilitated Dialogue between Belgrade and Pristina, included in a Resolution adopted in the Kosovo Parliament today, does not contribute to a normalisation of relations and is not in line with the commitments continuously made by Kosovo. Kocijancic said that Kosovo has always been firmly committed to the dialogue and to a further normalisation of relations between Kosovo and Serbia, for the sake of its own people, and also because progress in the Dialogue is a prerequisite for advancements on the EU path. "We call on all of the political leaders in Kosovo to continue to engage constructively in dialogue, to implement agreements reached in the Dialogue so far and thus advance both the normalisation of relations and its EU perspective," Kocijancic said. The International Court of Justice’s refusal to consider an application to review its 2007 ruling in Bosnia’s genocide case against Serbia could shake up the political scene and offer the country some vital lessons. Read more. Thursday's rallies against the announced formation of an opposition-led government passed off peacefully - but many wonder what will happen if the opposition acts on threats to form a government without the President's permission. Read more. The Criminal Court in Skopje has ordered the arrest and detention of businessman and media magnate Sead Kocan - an ally of ex-PM Gruevski- on suspicion of falsifying documents to win a big coal extraction tender. Read more. The Criminal Court in Skopje ordered a 30-day detention for prominent Macedonian businessman and media owner Sead Kocan and issued an order for his arrest. Kocan, who is seen as close to former Prime Minister Nikoa Gruevski, was named as a suspect by the Special Prosecution, SJO, in a fresh case codenamed “Trust” opened last month. He, along with three other businessmen, are suspected of falsifying documents in order to win a 17-million-euro tender for extracting coal for the State Power Plant in the town of Bitola in 2011. #Kosovo and #Samoa have signed establishment of bilateral relations. Excellent outreach by Ambassador @SabriKicmari in #Australia. Serbia’s Republic Election Commission approved former foreign minister Vuk Jeremic's candidacy on Friday for the upcoming presidential election. 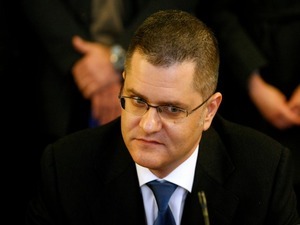 The commission confirmed that Jeremic had submitted 14,360 valid signatures of support from voters. The Bosnian state prosecutor's office told BIRN on Friday that it will open a case to probe allegations about the role of lawyer Sakib Softic as the country’s legal representative in the submission of a request for a revision of the verdict in Bosnia’s lawsuit against Serbia the International Court of Justice. The International Court of Justice rejected the request, and the court’s president on Thursday released a letter dating back to May 2016 in which he informed Softic that he was not considered to be Bosnia’s legal representative before the court. The Bosnian prosecution did not say whether the role of Bakir Izetbegovic, the Bosniak member of the tripartite state presidency, who strongly backed the controversial failed attempt to appeal, will also be probed. Ladislav Ilcic, the controversial special advisor for human rights to Croatian Foreign Minister Davor Ivo Stier, announced at a press conference on Friday that he is stepping down from the post to run for mayor in his native town, Varazdin, in the north of Croatia, in the upcoming local elections in May. Although he thanked Stier for the opportunity as special advsior, he criticised the ruling centre-right Croatian Democratic Union, HDZ, for not living up to family and Christian values. Ilcic, president of marginal parliamentary right-wing Christian party, Hrast [Oak] - Movement for Successful Croatia, was highly criticised by a number of NGOs upon being named Stier’s special advisor due to his highly controversial statements on abortion, women's rights, sexual education in schools and refugees from the Middle East. Neva Tolle, from the Autonomous Safe House in Zagreb, which offers shelter and help to women and children who are victims of violence, told news site Index that Ilcic’s resignation is partially a result of the march held on Women's Day, where citizens expressed their dissatisfaction with him. 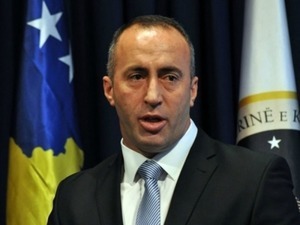 Serbia’s Ministry of Justice has received additional questions from the Appellate Court in the French city of Colmar on Serbia's request for the extradition of Kosovo’s ex-Prime Minister Ramush Haradinaj, Tanjug news agency reported on Friday. In its questions, the French court is seeking clarification on the legal provisions relating to the war crimes offenses Haradinaj is charged with in Serbia. The court gave Serbia until the end of March to respond. 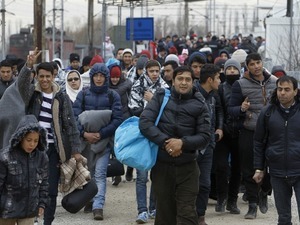 The New Arab reported that doctors Without Borders said the refugees had been attacked by Hungarian border guards and follow a series of anti-migrant policies by Budapest. 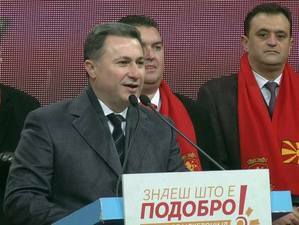 Macedonia's Special Prosecution, SJO, confirmed today that former Prime Minister and right-wing VMRO DPMNE party leader Nikola Gruevski is among the 17 new suspects in the case codenamed “Titanic”, which investigates electoral fraud during past election cycles. The SJO also confirmed to the media that it has sent an invitation to Gruevski to appear for questioning. Former transport minister Mile Janakieski and the head of VMRO DPMNE's press centre, Ilija Dimovski, are also among the new suspects that have been named. The SJO said it has widened the investigation in this case on February 28.